There is no greater gift you can give a child than a love of books. For little ones, reading opens up a world well beyond the one they live in, letting them explore without ever leaving home. In fact, research published in Pediatrics suggests that reading aloud to children can actually change a child’s brain, while scientists at the University of Kansas found that children whose parents regularly spoke using larger words to them, including while reading, actually had higher IQs than those spoken to with a more limited vocabulary. However, in many urban areas where space is at a premium, the floor-to-ceiling bookcases that you’ll find in larger suburban homes just aren’t an option. While many parents find it difficult to make room for a full-sized bookcase in their child’s room, there are plenty of ways to display their book collection without cluttering the space. If you’re eager to create book storage space for your child, here are some tips on how to make bookshelves for your child’s room. 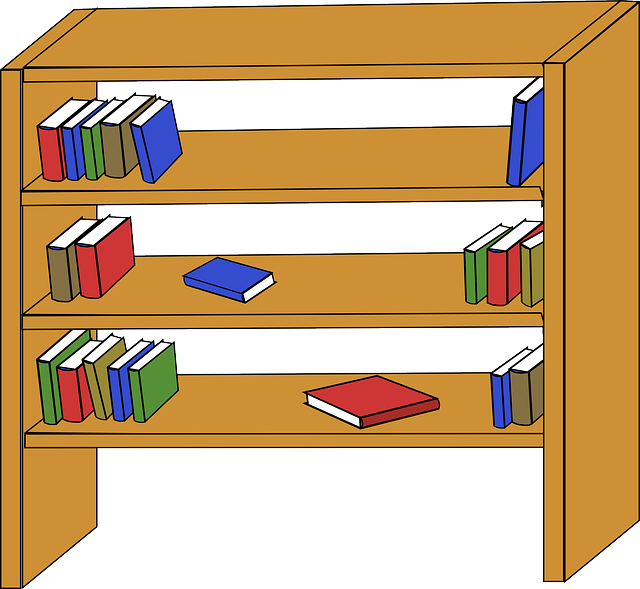 If your floor space is limited or your ceilings are low, a traditional bookshelf can put a serious damper on your design scheme, occupying too much space that could be better used for other furniture and accessories. Instead, try using staggered floating shelves, which create both a focal point for the room and a practical way to store your books. This look is particularly cool in ultra-modern homes, like the condos at 888 Hope in Los Angeles, where floating shelves serve as a perfect complement to the bright and airy spaces, each illuminated by natural light, thanks to their spacious floor-to-ceiling windows. If you have an old stepladder in your garage or shed that’s taking up space, you can easily turn it into a DIY bookcase! Simply open the ladder and thread planks through the steps until you’ve created three or four shelves on which to display your collection. This kind of modern rustic look also works in perfect juxtaposition with elegantly-designed homes luxury homes, like The Residences at Oceanside Plaza, a collection of Park Hyatt-branded residences in Downtown Los Angeles. The slightly rustic nature of a ladder bookcase turns your average nursery into a chic retreat where your child can learn and grow. Cube organizers are a handy way to store toys, clothes, and other knick-knacks, but they’re also a great alternative to a bookcase for anyone who wants a more modern approach to book storage. Paint your cube organizer, take out the drawers, and proudly display your library. Turn those old wooden crates collecting dust in your basement into something useful by using them as bookshelves. Simply sand and paint the crates and attach to the wall using secure L-brackets and you’ve got a charming, rustic accent piece your little one will love. 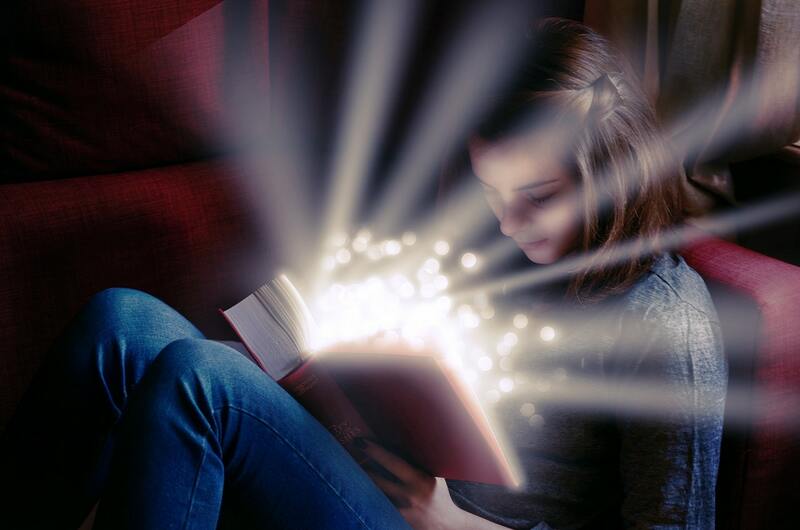 Reclaimed wood can turn your child’s bedroom into a magical literary forest in no time. Sketch out the design of a tree on your little one’s wall and use pieces of reclaimed wood to make the approximate shape you’ve sketched. Secure the wood to the wall using wall anchors and you’ll have a creative bookshelf in no time. Want to create a cohesive look for your kid’s room, but don’t have the room for full-sized built-ins? Try making your own with some smaller bookshelves. Go on a hunt for vintage bookshelves of different sizes at your local antique or thrift stores and turn them into a cohesive piece with a little bit of paint and contact paper. To make them look uniform, chalk paint works particularly well, thanks to its ability to cover up even the most-worn surfaces without the need for messy and time-intensive sanding. Simply clean the surface you’re going to paint with a non-oil-based cleanser, and start painting. Usually, one coat will cover the surface, but sometimes it takes two to get every flaw perfectly concealed. Just make sure you’re not overdoing it, as chalk paint is thicker than your average latex or oil-based paint, and can look lumpy by the time you reach coat three or four. To make the insides of your shelves look polished as well, try using some pretty patterned contact paper to line the interior back of the bookshelf or the shelves. If you don’t line the shelves themselves with contact paper, use a different color chalk paint to make them pop. And when you’re finished, drill the bookshelves together, attach them to your wall using sturdy brackets, and voila! The same space-saving benefits of built-ins, but with a customized feel. Give your little one the gift of an amazing library at their disposal by making them a unique bookshelf for their room. Whether you’re using reclaimed wood or items you already have in your home, you’ll turn their bedroom into a wonderland of words in no time. 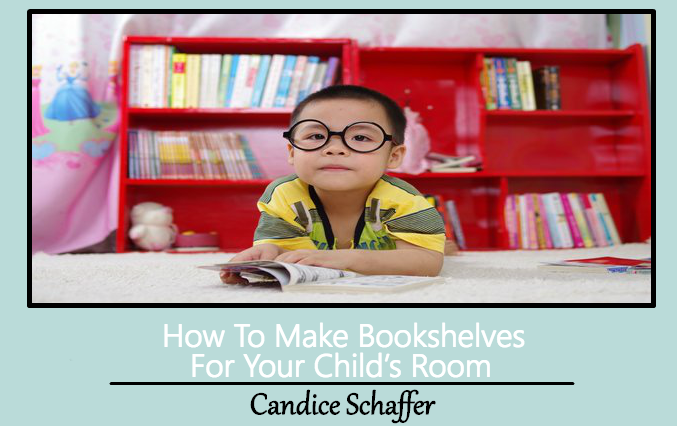 This Concludes: How To Make Bookshelves For Your Child’s Room. What Did You Think Of This Post? Please Let Us Know By Rating Below!